The pan-Indian musical extravaganza Bharat Sangeet Utsav (BSU) is back again with a star-studded line-up this year, in its grand 11th edition! Organized by the pioneering organization Carnatica, along with the more-than-a-hundred-years-old Sri Parthasarathy Swami Sabha, this year’s BSU features stars, veterans and awe-inspiring talents from across India and abroad! “This year’s BSU has interesting combo concerts with great artists coming together for the first time. Every day we feature stars and icons as well as promising young artists”, says Carnatica’s Founder-Managing Trustee, musician K.N. Shashikiran, who conceptualized and curated the festival. The festival begins on 30th October 2015 with a special Sangeet Symphony dedicated to M.S. Amma by Dr. Sudha Raja’s Sargam Choir. The great grand daughter of Bharat Ratna Late M.S. Subbulakshmi – S. Aishwarya – will be presenting “M.S.S.100” (as part of her centenary year celebrations). The festival will be presided over by Sri. N.Gopalaswami (Chairman, Kalakshetra & Former Election Commissioner). Hon. Ariel H Pollock, Acting Consul, U.S. Consulate General, Chennai will be chief guest and Smt. Mallika Ravi, Group CEO, Lancor Holding Limited will be the guest of honour. Ms. Maya Azucena, an American singer-songwriter, cultural ambassador and social activist will give a special performance. Vid. Sanjay Subrahmanyam will be felicitated during the event and this will be followed by his grand inaugural concert. This year’s BSU brings to Chennai audiences unique collaborations between Carnatic and world musicians that the world of music has never witnessed before! Popular musician Vid. U Rajesh (Mandolin) will be teaming up with Vid. Stephen Devassy (Keyboard) and Vid. George Brookes from USA (Saxophone) and Vid. Gino Banks (Drums). Some of the best Carnatic musicians in the field today — Padmashri Aruna Sairam, Vijay Siva, Nithyasree Mahadevan (multi facets of Papanasam Sivan), Gayathri Venkatraghavan (special concert dedicated to M.S. Subbulakshmi) and star siblings Malladi Brothers, Priya Sisters and Trichur Brothers — are scheduled to perform this year at BSU. Grammy award winners Pt. Vishwamohan Bhat and Vid. Vikku Vinayakram will mesmerize the audience with a concert titled "Grammy Meet". Umayalpuram Dr. K. Sivaraman with Sikkil C. Gurucharan will present “Sri Arunagiriyin Anubhoopathi” – a fascinating garland of Thiruppugazh song. A special Carnatic Combo “Vainika – Gayaka” by Neyveli Santhanagopalan with Dr. S. Sowmya will be presented. Abhishek Raghuram with Kunnakkudi M. Balamuralikrishna will be performing a Carnatic Jugalbandhi. In another interesting combination, Prasad Khapadre - disciple of Ustad Rashid Khan - will be presenting a special vocal concert with the famous Manganiyars from Rajasthan. One musician from the South and the other from the North — Nisha P. Rajagopal and Dr. Nabanitha Choudhuri — will be presenting a jugalbandhi concert. Young stars Saketharaman, Amritha Murali with K.Gayathri, Akkarai Sisters, Bharat Sundar with J.A. Jayanth (Flute), Thiruvarur Girish with Aishwarya Vidya Raghunath and Anirudha Knight (Dance) and Jayashree Vaidyanathan will present individual / combination concerts, with some of them being accompanied by senior artists — a tradition at BSU. A unique fusion concert “Mystic Journey” by Saashwathi Prabhu will also be featured. This year at BSU there are interactive mini-kutcheries as well, which will be presented by up-and-coming talents Aswath Narayanan, Apoorva Ravindran and Anahita Ravindran. 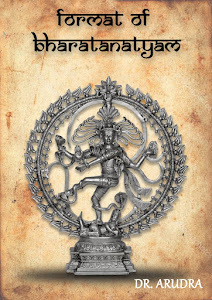 Popular Harikatha exponent Visaka Hari will be presenting "Narasimha Kshetras", a Sangeetha Upanyasam. 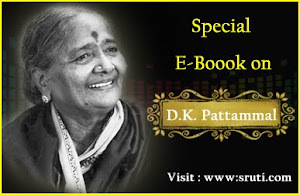 We have a katha kutchery by Dushyant Sridhar with B. Suchitra on 108 Divya Desa Vaibhavam. We also have the traditional art form of Coastal Karnataka – Yakshagana by the world-renowned Idakunji troupe. Mahalakshmi Ashwin and team will be presenting a musical dance ballet titled “Prahlaada”. The final day of BSU this year will be celebrated with Laya Vinyasam by Mannargudi Vasudevan with Anantha R. Krishnan and B. Sree Sundarkumar. The grand finale “Bharat Sangeet” – a thematic Indian music medley will feature Sashank (Flute) with Anil Srinivasan (Piano) followed by a Carnatic vocal concert -- a collaboration between S. Haricharan and Subhiksha Rangarajan (both playback singers). Carnatica Archival Centre is known for its innovative ways and untiring efforts in promoting and propagating music and this year’s BSU is another step in that direction. The 11th edition line-up of BSU is even more exciting than ever before, and Bharat Sangeet Utsav 2015 is needless to say, a must-attend for every music lover! Limited free seats available on the first come first served basis. For details contact:+91 98400 15013 / 94440 18269. Flute maestro N. Ramani died of cardiac arrest in the afternoon of 9th October 2015 in Chennai. He was 81. He was a disciple of his maternal grandfather Azhiyur Narayanaswami and the renowned Flute Mali. He played extensively in India and abroad, presenting solos, 'second flute' with his Guru T.R. Mahalingam, jugalbandis with several Hindustani musicians (a record number with maestro Hariprasad Chaurasia) and was a member of the popular violin-venu-veena (vvv) troupe with violinist Lalgudi Jayaraman and vainika R. Venkataraman. The vidwan was a popular teacher and established the Ramani's Academy of Flute in Chennai in 1983, where he taught hundreds of students. The RAF has several branches abroad. The leading Carnatic flutist was the recipient of several prestigious awards including the Sangeeta Choodamani (1971), the Kalaimamani award (1973), Venugana Chakravarty (1978), the Central Sangeet Natak Akademi Award (1984), Padma Shri (1987), Sangita Kalanidhi (1997), and Isai Perarignar (1999). He was a deeply religious and contented person. Pilgrimage to Sabarimala was an act of faith. He was the asthana vidwan of the Tirumala Tirupati Devasthanam and several mutts and temples. For a long time he was associated with the organisation of the Tyagaraja aradhana in Tiruvaiyaru, and would be present on the Pushya Bahula Panchami day to lead the rendition of Chetulara before the Pancharatana kritis. The breath that he blew through the bamboo, charming his rasikas, has been stilled forever. N. Ramani's passing away is a loss to the field of Carnatic music. Sruti offers its condolences to the bereaved family. 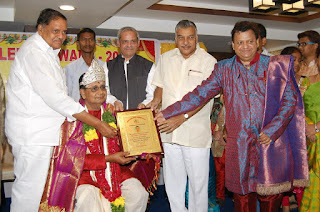 Bharatham R. Mahalingam, Director of the Melattur Bhagavata Mela Natya Vidya Sangam, was honoured with the KVS Excellence Award by YMHA, Eluru and KVS Trust, Eluru on 26 September 2015. The award was presented to Mali by Kuchipudi artist K.V. Sathyanarayana, for his service over five decades to the rare art form of Bhagavata Mela. Dignitaries who felicitated him included Mandali Buddha Prasad - Deputy Speaker of Andhra Pradesh, Dr. Parakkala Prabhakar, Advisor - Communications, Government of Andhra Pradesh, and Dr. Yaralagadda Lakshmi Prasad - Member, Kendriya Hindi Samiti. 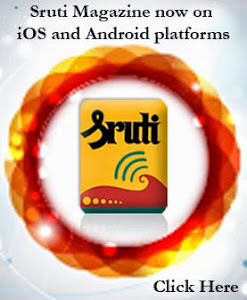 Sruti is an English language magazine on the Performing Arts, Indian music and dance published from Chennai, India. The first issue was published in October 1983. © (2013) The Sruti Foundation, or the author of the blog post if permitted by The Sruti Foundation. Powered by Blogger.